NO REGISTRATION FEE REQUIRED FOR TUNER BATTLEGROUNDS #TBGLIVE AND PLAYOFFS COMPETITION(S). TUNER BATTLEGROUNDS REGISTRATION IS OPEN TO AUTOMOTIVE OWNERS WHO RESIDE IN CANADA OR THE UNITED STATES (AGED 21 YEARS OR OLDER IF REGISTERED TO PLAYOFFS). VOID WHERE PROHIBITED OR OTHERWISE RESTRICTED BY APPLICABLE LAW. COMPETITION ENTITIES: Performance Publications Media Group (the "PPMG") is the sponsor of the Tuner Battlegrounds competition (the "Competition"). HOW TO ENTER: To enter, follow the links at www.tunerbattlegrounds.com (the "Web Site") to the official registration form. There is no registration fee for Tuner Battlegrounds #TBGLIVE and Playoffs competitions. You must provide all information requested including a minimum of five (5) recent and different photographs of your vehicle in JPG format, (the "Submitted Photographs") using the upload tool and instructions provided. Competitors are providing information to PPMG and official affiliated sponsors and not to Facebook, Twitter, or Instagram. Only the Competitor's vehicle (defined below) should appear in the Submitted Photographs. All photos must be at least 2000 pixels wide (by corresponding height) and at least 72dpi in resolution and must not infringe or violate any right of any third party or entity, including but not limited to copyright, right of publicity, and right of privacy. Please check with the photographer to make sure that you have the rights to submit the photographs. Please be sure to retain the original photographs, as Finalists may be required to submit the Submitted Photographs in greater resolution. Once the upload is finished and the entry form completed in its entirety, you can finalize your entry into the Competition by clicking submit. Upon successful entry, a confirming email will be sent to the email address you provided. PPMG reserve the right to contact a person who has entered the Competition (a "Competitor") to request a re-submission of one or more of the Submitted Photographs and/or to request that the Competitor submit additional photos, in PPMG's sole discretion. While Competitors may have assistance in entering data and uploading the photos, each Competitor must otherwise complete the entry form themselves. Any entries submitted by anyone other than the vehicle appearing in the Submitted Photographs (including but not limited to entries submitted by Car Club Team Presidents) will be rejected. As set forth in greater detail below, submission of photographs and entry in the Competition constitutes consent to use the Submitted Photographs in Performance Auto & Sound Magazine ("PASMAG"), promotional media of any type (including with PPMG's licensees), the Web Site (foreign and domestic affiliated web sites), and/or associated or otherwise affiliated Web/WAP sites, social media sites and tablet apps; as well as Competitor's representation that Competitor owns or controls all necessary rights in the Submitted Photographs to grant PPMG the rights described herein. Except as otherwise permitted herein, only one entry per person will be accepted; all subsequent entries will be disregarded. No photographs containing more than one vehicle will be eligible. False, deceptive or incomplete entries or other information provided by Competitors throughout the Competition (including but not limited to responses to Vehicle Spec Sheet) shall render the entry ineligible at any point in the Competition irrespective of when the problem is actually discovered. For the Tuner Battlegrounds Playoffs competition, the Competitor may submit their entry form and photographs using the above procedures by Friday, August 31, 2018 at Midnight (12:00am) EDT (the "Entry Period"); late entries shall be ineligible. Date of entry during the Entry Period will not affect chances of being chosen. ELIGIBILITY: All Competitors must be legal residents of the United States of America or Canada, must have been 21 years of age or older on the date that the earliest of the Submitted Photographs was provided for the Playoffs, and must have valid insurance of the registered vehicle for 2018. Any person: (i) who was a Final Two (2) finalists in a previous Tuner Battlegrounds Playoffs competition; or (ii) who has previously been featured in a print publication of PASMAG as a feature or cover car, not including a Tuner Battlegrounds: #TBGLIVE feature, is not eligible to participate in the Tuner Battlegrounds: Playoffs competition. Failure to comply with these Official Rules at all times will result in ineligibility of Competitor. Competitor appoints PPMG as their attorneys in fact, and grants PPMG permission to demand the removal of any photographs that violate these Official Rules. Employees and representatives of PPMG, its subsidiaries, affiliates, and their advertising and production companies and any family member or person domiciled with any of the foregoing, are not eligible to participate. All federal, state, provincial and local laws and regulations of the United States and Canada apply. Void where prohibited or restricted. Competitors agree to be bound by these Official Rules. PRELIMINARY PERIOD: After entering the Competition, the Submitted Photographs may be placed on the Web Site, where they may be viewed and commented upon by visitors to the Web Site. Competitors may be requested to submit additional images (the “Additional Photographs”) for publication on the Web Site, so long as they do not infringe upon the rights of any person or entity, including but not limited to copyright, right of publicity, and right of privacy. Selection of Stage Winners: One or more of the photographs and selected other information relating to Selected Competitors will be posted at the Web Site, or an associated or otherwise affiliated web site. Visitors to the Web Site will have an opportunity to vote for their favorites among the posted Selected Competitors. In the event that any Selected Competitor is determined to be ineligible, or if a claim is made that they do not own or control sufficient rights in the Submitted Photographs to grant the requisite rights to PPMG, after their photograph(s) have been posted, they may be disqualified in PPMG's sole discretion and their photo(s) will be removed, and they will be replaced by another Selected Competitor. Selected Competitors cannot offer something of pecuniary value in exchange for voting in the Competition. PPMG prohibits giving or receiving something of value in exchange for voting. The Selected Competitor may be disqualified in PPMG's sole discretion if there has been an exchange of something in value for voting. Voters are limited to one (1) vote per Facebook account every 24 hours of the posted Selected Competitors. Each week of the Competition, PPMG will select the Selected Competitors to move on to the next Stage based upon the results of the voting. Any Selected Competitor who has not submitted Additional Photographs or otherwise engaged in self promotion shall receive a weighting of "zero" for that element. In the event that a Finalist is determined to be ineligible, withdraws from the Competition, or cheats in obtaining votes, PPMG reserves the right to substitute another Selected Competitor to replace such Competitor. The selection of the Stage Winners shall be within the sole discretion of PPMG, whose decisions shall be final, and shall be based on the criteria listed herein. Results of public voting are one factor in selecting Stage Winners, but are not determinative. Selection of Finalists: One or more photographs may be published in a print edition PASMAG and/or a supplement thereto, and/or one or more photographs of the Finalists may be published on the Web Site and/or associated or otherwise affiliated Web sites. Finalists may be required to submit the Submitted Photographs in a different format, including but not limited to a high-resolution JPEG file or at the sole discretion of PPMG, may be required to submit additional photographs. Any Finalist who is unable to submit photographs that, in the sole discretion of PPMG, are suitable for publication in PASMAG shall be disqualified. Finalists may also be required to: (i) respond to additional questionnaires; (ii) submit to an interview via telephone or otherwise; and/or (iii) submit other additional materials or information, at the discretion of PPMG. During the Finalist Voting Period, participating voters will have the opportunity to vote for their favorite Finalists. After the Finalist Voting Period ends, PPMG, in its sole discretion, will select two (2) Selected Competitors as Finalists, based upon the results of the voting. Finalists will be contacted via e-mail, telephone and/or Facebook. Finalists must respond to such contact within forty-eight (48) hours (or such longer period as shall be determined within the sole discretion of PPMG), confirming that they will be able to attend a photo and video shoot at a date (TBD date) and place to be determined within the sole discretion of PPMG. Any Finalist who does not respond, or who is unable to attend the photo and video shoot, will be disqualified, and another Finalist may be chosen. PPMG will then conduct one or more photo and video shoots of the Finalists using professional photographers and videographers. Two (2) Finalists will be selected as Finalists by PPMG, in its sole discretion, based upon the results of the voting. Finalists may also be required to return additional documentation or releases as may be required by PPMG, and if such documentation is not received by the designated date or if the documentation submitted is deemed to be, in PPMG's sole determination, incomplete, erroneous or misleading, such Finalist will be ineligible to participate in the remainder of the Competition. In the event that a Finalist is determined to be ineligible or withdraws or is disqualified from the Competition prior to the commencement of the Finalists Voting Period (defined below), PPMG reserve the right to substitute another Finalist to replace such person. Selection of PASMAG Tuner Battlegrounds Champion: One or more photos and/or videos of each Finalist from the photo/video shoot may appear in a future issue of PASMAG and/or a supplement thereto, and/or on the Web Site, or an affiliated or associated Web Site, or in or on any publication, product or item owned or otherwise affiliated or under contract with PPMG. During the Championship Voting Period, participating voters will have the opportunity to vote for their favorite Finalist on the Web Site and via hastag on Twitter and Instagram. Web Site voting: Use a valid Facebook account to register and log-in to the Web Site. After you have logged in with your Facebook account, and when the Voting Window is open, click on the Finalist of your choice and assign a vote by clicking the "Voting Star" button. Once submitted, your vote is locked. Voting is limited to 1 (one) vote per Finalist, per Facebook account, per 24 hours. HASHTAG voting: Use a valid Instagram or Twitter account to create a new post and upload a photo or video of the Finalist of your choice with their assigned hashtag in the caption. Post the photo or video of the Finalist of your choice to your Instagram and/or Twitter account when the Voting Window is open. Voting is limited to 1 (one) hashtag per Finalist, per Instagram/Twitter account. Only new and public votes count. 1 (one) hashtag voter is equal to 1 (one) vote. 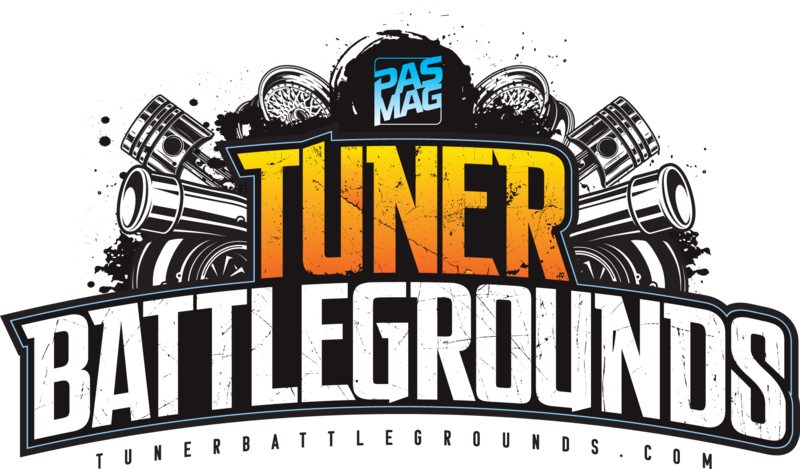 PPMG, in its sole discretion, will choose a Champion and Runner-Up, based upon the result of the audience voting and bonus points awarded through PASMAG Tuner Battlegrounds Editor's Challenges. Finalists may also be required to return additional documentation or releases as may be required by PPMG, and if such documentation is not received by the designated date or if the documentation submitted is deemed to be, in PPMG's sole determination, incomplete, erroneous or misleading, or if such Finalist fails to appear at the photo shoot, such Finalist will be ineligible to participate in the remainder of the Competition. In the event that a Champion is determined to be ineligible or withdraws or is disqualified from the Competition, PPMG reserve the right to select another Champion. PASMAG Tuner Battlegrounds Championship Award/Value: All Finalists may refer to themselves as a "PASMAG Tuner Battlegrounds Playoffs Finalist" or "PASMAG Tuner Battlegrounds Championship Finalist" in written and descriptive materials such as a portfolio, but only if such uses and displays are purely non-commercial and in no event suggest or create any confusion whatsoever that PPMG or PASMAG is endorsing or participating in any manner related to the use of its name, makes, fonts or logos. PASMAG Tuner Battlegrounds Championship Finalists' Awards: All Finalists who respond in a timely manner to PPMG's inquiries and attend the photo/video shoot will be photographed/videotaped by a professional photographer/videographer, selected by PPMG. Any expense not specifically referred to herein shall be the sole responsibility of the Finalist. One or more photographs of each Finalist selected after such professional photographic session will appear in a future issue of PASMAG or a supplement thereto, and/or on the Web Site, or an affiliated or associated Web site. Finalists will be entitled to use, on a non-exclusive basis, one (1) of the photos taken of Finalist at the Finalist Photo Shoot (the "Licensed Photograph") and one (1) portion of a videotape taken of Finalist at the Finalist Photo Shoot (the "Licensed Videotape"), such Licensed Photograph and Licensed Videotape to be selected in the sole discretion of PPMG, on Finalist's portfolio and personal promotional site online. The Licensed Photograph and Licensed Videotape will have a watermark with the PASMAG or PPMG logo, and will include a credit for the photographer/videographer, and can only be used in association with the logo and credit displayed in a manner that clearly attributes such logo and credit with the media. The Licensed Photograph and Licensed Videotape may not be used for any purpose other than those described herein without the prior express written permission of PPMG. All Finalists may refer to themselves as a "PASMAG Tuner Battlegrounds Playoffs Finalists" or "PASMAG Tuner Battlegrounds Championship Finalist" in written and descriptive materials such as a portfolio, but only if such uses and displays are purely non-commercial and in no event suggest or create any confusion whatsoever that PPMG or PASMAG is endorsing or participating in any manner related to the use of its name, makes, fonts or logos. Finalists may use the Tuner Battlegrounds logo (copy to be provided upon request of Finalist) in connection with Finalist's portfolio and personal promotional site online only, provided that the logo may only be used in connection with the Licensed Photograph and Licensed Videotape. PASMAG Tuner Battlegrounds Championship Finalists Award: The Finalists will be provided with a full feature in a print edition of PASMAG. The Finalists may refer to themselves as a "PASMAG Tuner Battlegrounds Playoffs Finalist" or "PASMAG Tuner Battlegrounds Championship Finalist" in written and descriptive materials such as a portfolio but only if such uses and displays are purely non-commercial and in no event suggest or create any confusion whatsoever that PPMG or PASMAG is endorsing or participating in any manner related to the use of its name, makes, fonts or logos. The Final 2 may use the Tuner Battlegrounds logo (copy to be provided upon written request of the Finalists) in connection with Finalist's portfolio and personal promotional non-commercial online site only, provided that the logo may only be used in connection with the Licensed Photograph and Licensed Videotape. The approximate retail value of the winner’s award is $10,000. Actual value may vary on a number of factors. PASMAG Tuner Battlegrounds Champion's Award: The PASMAG Tuner Battlegrounds Champion will be provided with a full feature and the cover in a print edition of PASMAG. The Champion may refer to themselves as the "PASMAG Tuner Battlegrounds Champion" in written and descriptive materials such as a portfolio but only if such uses and displays are purely non-commercial and in no event suggest or create any confusion whatsoever that PPMG or PASMAG is endorsing or participating in any manner related to the use of its name, makes, fonts or logos. The Champion may use the Tuner Battlegrounds logo (copy to be provided upon written request of the Champion) in connection with Champion's portfolio and personal promotional non-commercial online site only, provided that the logo may only be used in connection with the Licensed Photograph and Licensed Videotape. The approximate retail value of the winner’s award is $25,000. Actual value may vary on a number of factors. All federal, state, provincial and local laws and regulations apply. Taxes, if any, are the Champion's sole responsibility. No substitution, transfer, assignment or cash equivalent permitted. PPMG reserves the right to substitute awards with one of equal or greater value, at PPMG's sole discretion. NOTIFICATION/TERMS: Selected Competitors, Finalists, Runner-Up and Champion will be notified by e-mail, telephone or other means reasonably calculated to provide notice. Entry constitutes permission to use Competitor's name in PASMAG and/or on the Web Site, or an affiliated or associated Web site as well as on other media platforms, including but not limited to WAP, mobile and wireless media platforms, that permit the user content to be uploaded or downloaded, and their consent to use her name, photograph (including Submitted Photograph and Additional Photographs), videotape (including Submitted Video), comments and/or voice recordings and likenesses for advertising or publicity purposes, in any and all media - including but not limited to magazines,, posters, online display, television, cable, video, DVD and/or film productions, wireless applications and other media channels and applications, and for advertising, promotions, other competitions sponsored by PPMG, its subsidiaries and affiliates and other commercial purposes (whether by PPMG or any third party) - without additional compensation or permission, except where prohibited by law. Entry also constitutes a representation that Competitor owns all necessary legal rights in all images to grant PPMG the right to use such images as contemplated by these Rules and, in particular, that Competitor either personally owns the copyright to the Submitted Photographs and Additional Photographs, or that the respective copyright holders have granted Competitor the right to allow PPMG to reproduce the Submitted Photographs and Additional Photographs, and to publish the Submitted Photographs and Additional Photographs as set forth in these Official Rules and/or herein. Competitor is responsible for any financial reimbursement to the original Copyright Holder for the rights to publish the Submitted Photographs and Additional Photographs; PPMG will not be responsible for any such payment. Competitors shall hold PPMG, its subsidiaries and affiliates harmless and defend and indemnify PPMG, its parent corporation, subsidiaries and affiliates from any and all liabilities, loss, claims, or causes of actions, including reasonable attorneys’ fees and expenses that may be incurred by PPMG, its subsidiaries and affiliates, arising out of or relating to any breach of any of the foregoing representations and warranties. Competitors do not have the right to license PPMG's name or trademarks, including but not limited to "Performance Auto & Sound Magazine", "PASMAG", "Tuner Battlegrounds" “Performance Publications Media Group” to any other entity, even if Competitor is making an appearance on behalf of that entity. Any such license must be secured from PPMG. Any use to "Performance Auto & Sound Magazine", "PASMAG", "Tuner Battlegrounds" “Performance Publications Media Group” or any reference thereto, in connection with any promotional event or advertising must first be approved by PPMG in writing. DISCLAIMER AND RELEASE OF LIABILITY: PPMG AND ALL AWARD PROVIDERS ARE NOT RESPONSIBLE FOR ANY INCORRECT OR INACCURATE ENTRY INFORMATION, HUMAN ERROR, TECHNICAL MALFUNCTION, FAILURES, OMISSION, INTERRUPTION, DELETION, OR DEFECT OF ANY TELEPHONE NETWORK, COMPUTER ONLINE SYSTEMS, COMPUTER EQUIPMENT, SERVERS, ACCESS PROVIDERS, OR SOFTWARE, INCLUDING ANY INJURY OR DAMAGE TO PARTICIPANTS' OR ANY OTHER PERSONS', COMPUTER RELATING TO OR RESULTING FROM PARTICIPATION IN THIS COMPETITION; INABILITY TO ACCESS THE ENTRY WEB SITE OR ANY PAGES THEREOF; THEFT, TAMPERING, DESTRUCTION, OR UNAUTHORIZED ACCESS TO, OR ALTERATION OF ENTRIES; ENTRY SUBMISSIONS THAT ARE PROCESSED LATE OR INCORRECTLY OR ARE INCOMPLETE, GARBLED, OR LOST DUE TO COMPUTER OR ELECTRONIC MALFUNCTION OR TRAFFIC CONGESTION ON THE INTERNET OR ANY WEB SITE. PROOF OF ENTERING INFORMATION AT WEB SITE IS NOT CONSIDERED PROOF OF DELIVERY OR RECEIPT. ALL DATES SET FORTH IN THESE OFFICIAL RULES ARE APPROXIMATE. AMG RESERVES THE RIGHT TO EXTEND ANY DEADLINES. ALL ENTRIES ANY OTHER MATERIALS SUBMITTED (INCLUDING BUT NOT LIMITED TO PHOTOGRAPHS AND VIDEOTAPES) BECOME THE SOLE PROPERTY OF PPMG AND WILL NOT BE RETURNED OR ACKNOWLEDGED. FALSE AND OR DECEPTIVE ENTRIES OR ACCOUNTS SHALL RENDER ENTRY INELIGIBLE. ALL DECISIONS OF PPMG SHALL BE FINAL AND CONCLUSIVE ON ALL MATTERS RELATING TO THE COMPETITION. ALL COMPETITORS, SELECTED COMPETITORS, FINALISTS, RUNNER-UP AND CHAMPION RELEASE PPMG AND ITS AFFILIATES, SUBSIDIARIES, WHOLESALERS, RETAILERS, OFFICERS, DIRECTORS, PHOTOGRAPHERS, VIDEOGRAPHERS, WRITERS, EMPLOYEES AND ALL OTHERS ASSOCIATED WITH THE DEVELOPMENT AND EXECUTION OF THIS COMPETITION FROM ANY AND ALL LIABILITY WITH RESPECT TO, OR IN ANY WAY ARISING FROM, THIS COMPETITION, PUBLICATION OR USE OF THEIR PHOTOGRAPHS/VIDEOTAPES, AND/OR ACCEPTANCE OR USE OF THE AWARDS, INCLUDING LIABILITY FOR PERSONAL INJURY, DEATH, DAMAGES, OR MONETARY LOSS. The chances of being selected to proceed to each of the different stages of the Competition depend on the number of Competitors, on the judging criteria for each stage, and how well the Competitor rates on each such criterion compared to other Competitors. PPMG reserve the right to terminate, withdraw or amend the Competition for any reason. Competitors consent to PPMG's collection, use and disclosure to third parties of Competitors' personal information for the purpose of administering this Competition and as otherwise set out in these Official Rules.